Our experience shows how we have helped others solve mission-critical problems. Listen. Research. Bring the right expertise to bear. Decide on the best path forward. Be quick and smart. Persevere under pressure. Implement and adapt. It works. Red Gate has been helping clients transform since its start in 2006. Before that, our leaders helped solve tough problems in technology, energy, and other critical sectors. Today, Red Gate has teams working across the Government in a wide range of capacities. 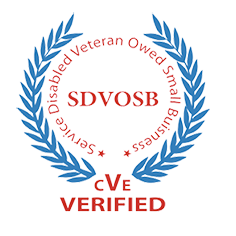 Our experience includes substantial work for the DoD and intelligence community, VA, DHS, and other organizations. Engaging employees to improve organizational performance. Facilitating planning to drive strategy and tactics. Managing security for people, facilities, and information technology. Protecting intellectual property and the technical superiority of the United States. Defending against asymmetric and insider threats. Training and leading teams in the evolution of new capabilities. Red Gate brings bold solutions to these critical problems. Defense Industrial Base. Red Gate is standing up a new capability within the DIB to protect the country's strategic and technological advantage. We’re developing a scalable, enterprise approach to vetting technologies and supply chains. This will ensure we can mitigate existing and future vulnerabilities. Strategic planning. All-source intelligence. Vulnerability assessments. Threat mitigation. We help do it all. Department of Veterans Affairs. Red Gate’s team created a strategy for transforming VA’s employee engagement. Through this strategy, we are helping VA change and put Veterans first. We have created an employee engagement network that fosters a sense of purpose. Our team also supports Veterans through improved education and assistance finding Federal employment. Because of these initiatives, Veterans receive faster and improved access to services. Federal Bureau of Investigation. Red Gate’s team created the strategy for and helped stand up the FBI’s Insider Threat Center. Today, we help sustain this program and provide guidance for growing its influence. This critical capability helps the FBI counter new threats and preserve the integrity of our intelligence complex. Department of Defense. Red Gate has been influential in standing up transformational programs for the DoD. Our teams helped establish a task force to defeat IEDs and change the tenor of the wars in the Middle East. We deliver intelligence capabilities to defend against asymmetric threats around the world. We integrate new technologies to support national defense. Red Gate also helped develop the Army’s initial Operational Energy Policy. Our approach to synchronizing energy reduction measures in austere and hostile environments enhanced war fighting capabilities. Department of Homeland Security. Red Gate is at the forefront of DHS efforts to strengthen the security and resilience of the Nation’s most critical infrastructure. We lead contingency and crisis action planning in the Office of Infrastructure Protection and help drive strategic integration and much-needed technology improvements at the Federal Protective Service. In a rapidly changing security environment, the homeland faces a wider range of threats than ever before. Whether the focus is on physical or cyber infrastructure, heavily protected government facilities or soft targets, Red Gate is helping to shape the future landscape of homeland security by challenging our Federal customers to consider new and innovative ways of keeping our country safe.